In this exploration I will examine the graph y = ax2 on the same axes for different values of a. 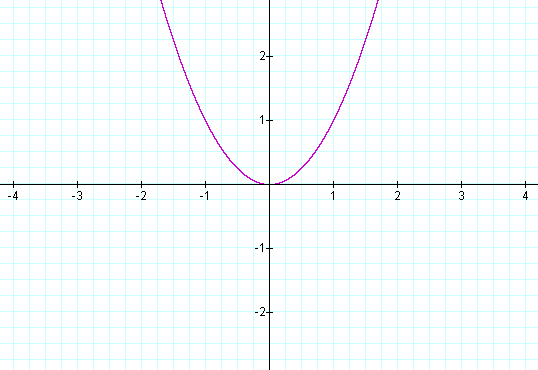 For a = 1; y = x2 is a parabola whose vertex is at the origin. See the graph below. 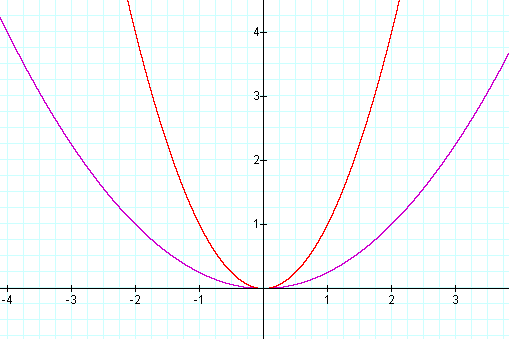 For a = 2; y = 2x2 is a parabola whose vertex is at the origin, but the graph of the parabola is now stretched vertically by a factor of 2, each y-coordinate at each point has been multiplied by 2. See both graphs below. has been multiplied by 1/4. See both graphs below. For y = ax2 with a> 1 the graphs will be parabolas whose vertices are at the origin that are stretched vertically by a factor of a. Click the movie below. Notice that the parabolas are becoming more narrow or sharper at the vertices. 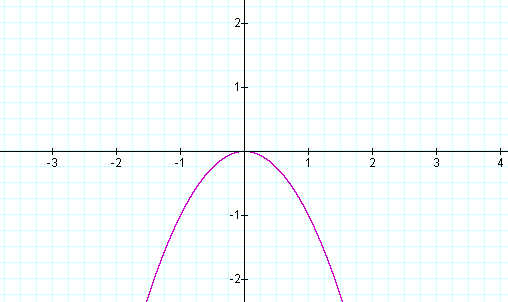 For y = ax2 with 0 < a > 1 the graphs will be parabolas whose vertices are at the origin that are compressed vertically by a factor of a. Click the movie below. Notice that the parabolas are becoming wider or flatter at the vertices. For a = -1; y = -x2 is a parabola whose vertex is at the origin, but the graph of the parabola has been reflected across the x-axis. 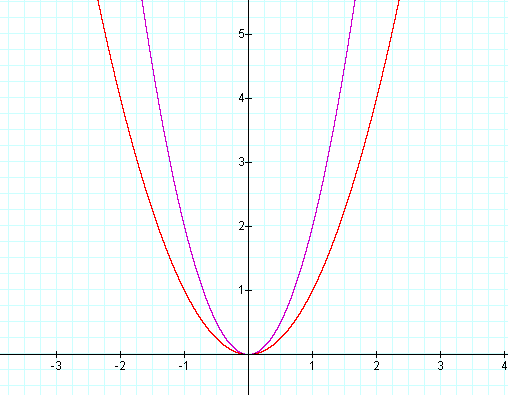 Each y-coordinate of the new graph has been multiplied by -1. See the graph below. For y = ax2 with a < 0; the graphs will be parabolas whose vertices are at the origin that are reflected across the x-axis. When a is a negative fraction it the graph is both reflected across the x-axis and compressed vertically by a factor of a. Click the movie below. Notice that the parabolas are becoming wider or flatter at the vertices. For y = ax2 with a <0; the graphs will be parabolas whose vertices are at the origin that are reflected across the x-axis. When a is a negative integer the graph is both reflected across the x-axis and stretched vertically by a factor of a. Click the movie below. Notice that the parabolas are becoming narrow or sharper at the vertices.